"If you don’t aim for perfection, you can never reach excellence" – these words are evident in every aspect of Dr. Hansch's business philosophy and provide the foundation of our company's success. His professional endeavors are supported by an impressive academic background including a doctorate degree in laser physics and an MBA from The Ohio State University where he also received the university's prestigious Leadership Award. In addition, Dr. Hansch possesses extensive hands-on business experience and an in-depth understanding of the need for outstanding customer service. His business career began as a teenager when he started his first company, the Kangarangs Boomerang Company. After completing his university education, he joined Siemens Management Consulting and led client teams for international consulting projects in the U.S. and Germany. During this time, Dr. Hansch deepened his understanding of cross-cultural challenges and his appreciation for the significance of effective communication. 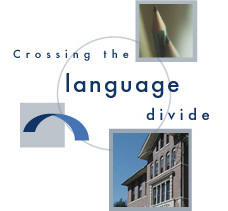 In founding Executive Translations, Inc., a company division of Executive Graphics, Inc., Dr. Hansch continues to support clients in bridging linguistic and cultural gaps. Using his in-depth knowledge of clients’ needs, dedication to quality, and commitment to supporting the professional development of each Executive Translations employee, Dr. Hansch leads the Executive Translations team in maintaining the company's uncompromising level of excellence. As Director of Language Services, Eric Patton is operationally responsible for all translation activities. He manages daily projects and ensures that the Executive Translations standard of excellence is upheld for each and every assignment. Mr. Patton holds a graduate degree from Princeton University, where he also taught German Language and Literature for five years. He has several years of professional experience translating a variety of challenging document types in the fields of business and technology. This experience, his solid academic background, and his years spent studying and living in Germany help to ensure Executive Translations’s superior quality standards and competitive edge.